Buy works – Kostromitin Andrey Nikolaevich | (1928–1999). Sculptor, painter, graphic artist. Born in 1928 in Leningrad. Variety of art of Andrey Kostromitin is remarkable: the artist of the 20th century was indeed a man of Renaissance era. His paintings are always distinguished by deep and serious attitude towards his art and love of life, no matter in which genre he was working. A.N. 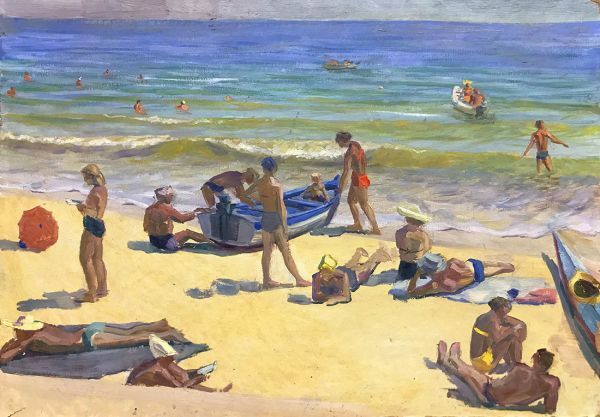 Kostromitin tried to follow the best of Russian and Soviet artistic cultural heritage. The main task of the artist was to give people a feeling of unique moments of life, to awaken the best aspirations in them. 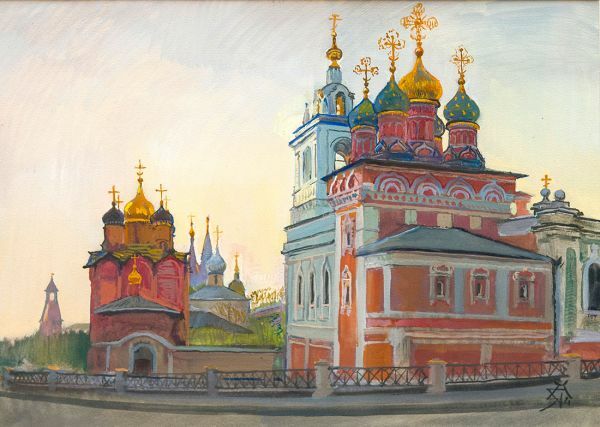 The artist’s works are kept in the State Tretyakov gallery, the Glinka National Consortium of Musical Culture, the A.A. Bakhrushin State Central Theatre Museum, All-Russia Museum of Decorative, Applied and Folk Art, Moscow State Institute of Music named after A.G. Schnittke, the Serpukhov`s Museum of History and Art, The State Museum of the defense of Moscow, K.E. Tsiolkovsky State Museum of the History of Cosmonautics, House-Museum of V. Vysotsky and in many others. 3000 - 3000 rub. 3000 - 3000 rub.